This hamper includes a calming series travel kit comprised of body wash, shampoo, conditioner and lotion. This pocket size travel kit along with the relaxation bath salt, petal and Rind hand wash and relaxation botanical blend is a simple yet ideal product bouquet to gift him or her. 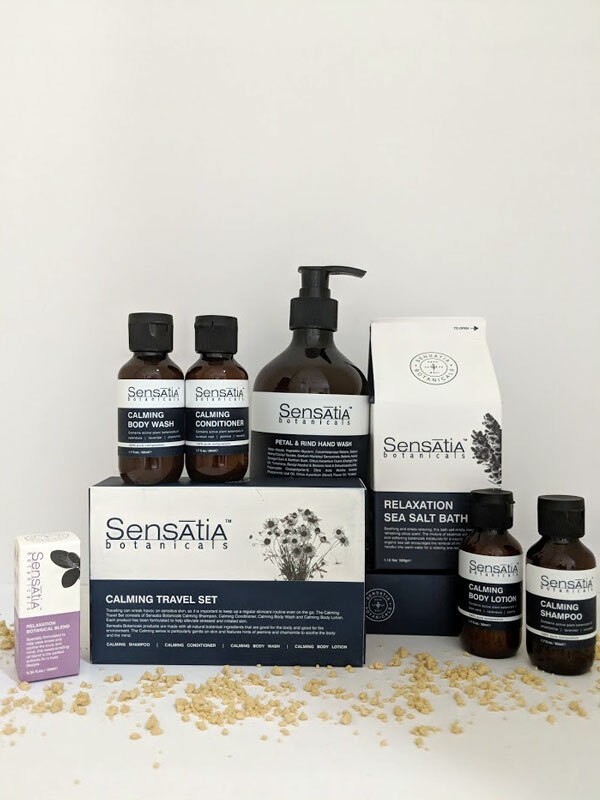 Specially formulated to help ease stress and soothe the body and mind, this sweet-smelling Relaxation Botanical Blend is the perfect antidote for a busy lifestyle. Pure essential oils from marjoram, mandarin and chamomile caress even the most sensitive skin and encourage a sense of relaxation and balance. Wash away dirt and grime without stripping skin of its natural moisture with this citrusy fresh hand wash made with all-natural botanical ingredients. Orange peel oil is packed with antioxidants that nurture and protect skin, while neroli and peppermint leaf oil ﬁght bacteria. Hands are left feeling soft, smooth and refreshed.